Hardik Pandya has left for New Zealand to join the squad as the CoA has lifted the ban on him and K L Rahul. 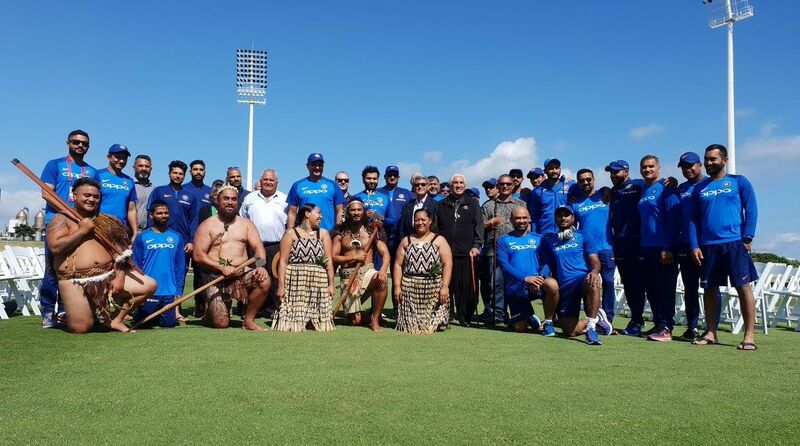 Team India received a warm welcome from the Maori community at the Bay Oval on Friday. Virat Kohli-led India are scheduled to play the second ODI of the five-match series against New Zealand at the Bay Oval on Saturday. The Indian cricket team started the second leg of their Down Under tour with a bang by thrashing New Zealand by eight wickets in the first ODI at Napier. On Saturday, when both teams will face each other in the second ODI, India will aim to extend their winning momentum. On the other hand, Kane Williamson-led side will aim to bounce back in the series. Meanwhile, India’s fast bowling all-rounder Hardik Pandya has left for New Zealand to join the squad as the Committee of Administrators (CoA) has lifted the ban on him and K L Rahul.